to express my deep and personal connection with the conservation of wildlife and the natural world ignited both my brainstorming and final compositions. My theme was heavily influenced by my passion for wildlife conservation and the immense need to preserve natural habitats to combat extinction. 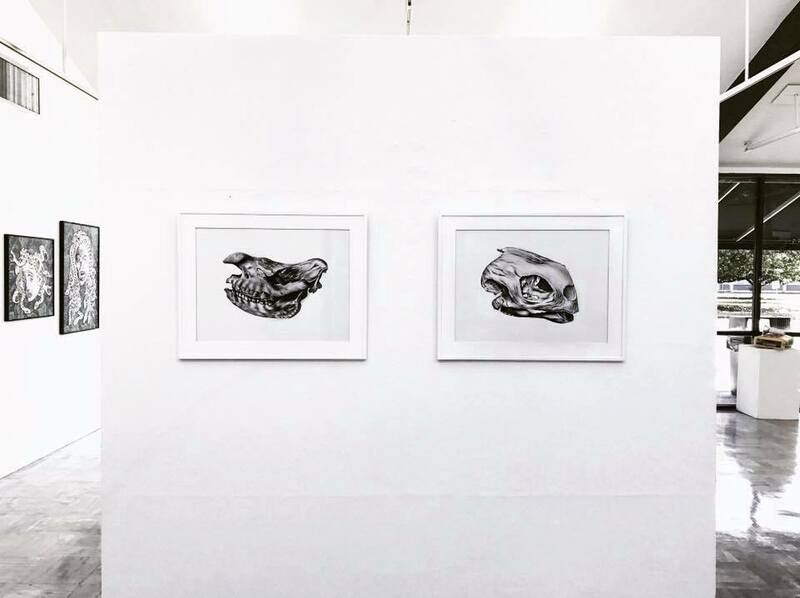 The choice to illustrate skulls of critically endangered wildlife as opposed to their true-to-life forms was very intentional. I wanted to illustrate these gorgeous creatures not with the exquisite beauty and dignity they posses in the wild, but void of their trophy qualities to emphasize the impact of their potential extinction. 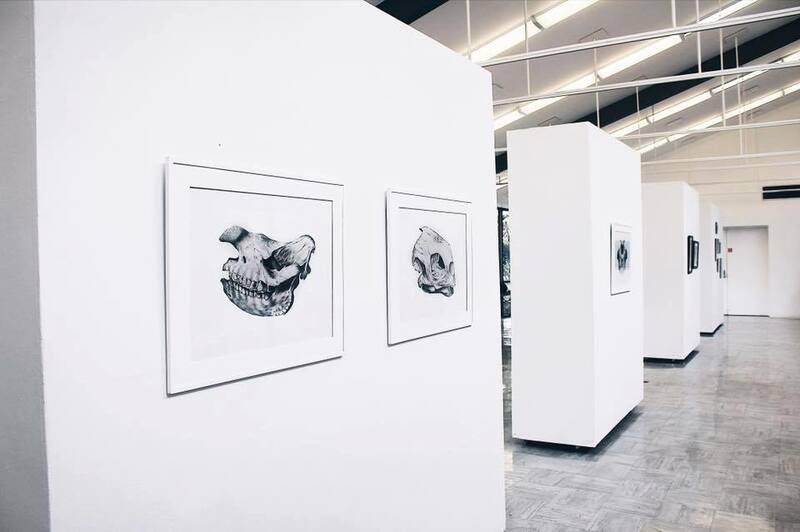 The illustrations are colorless with a bare background, much like the bones themselves, to truly bring awareness to the magnitude of a void that occurs when a creature becomes extinct. Using my passion as inspiration, I created the series of illustrations to communicate this impact of mass extinction, as well as the rare and finite beauty of not only these specific species, but of all creatures. Each illustration is titled by the corresponding population count of its respective species in the wild as of May 5, 2017. I plan to revisit the population count, updating numbers monthly using font boldness to indicate increasing and decreasing population counts. For every decrease in population equivalent to one-fourth percent decline, a transparent sheet of tracing paper will be placed over the illustration, acting as a veil and visual representation of the species disappearance into extinction. This process invites my audience to engage in a monthly vigil of real-time awareness. Extinction, in major part, is due to human interference in ways including the poaching for sellable goods, deforestation, climate change, and overpopulation. My intention is to strip away the most desired attributes of these creatures to show what will remain if action is not taken to end human driven extinction. of illustrations depicts the skulls of critically endangered animals. Using the scientific research of the World Wildlife Federation, I chose species directly affected by human inflicted endangerment. The species I chose to illustrate include the Mountain Gorilla, Amur Leopard, Black Rhinoceros, and Hawksbill Turtle. Using the reference work of National Geographic and Irving Penn photography, I was able to research and understand the anatomy of my chosen species. Once the species were selected, the next step in my artistic process included choosing materials. For the smooth, bone-like surface, Bristol paper stood out as the best possible option for graphite and charcoal to achieve the realistic style I wanted to portray. 100% No Sweatshops and Eco-Friendly Production. Social and Environmental responsibility are core beliefs of designer, Lauren Schnell.